The King's Indian has always been one of the sharpest, most complex, and popular openings that Black can play; it still provides the setting for many encounters at the elite level of Grandmaster chess. Straight from the start, Black fights for the initiative and in many variations, while White pursues material gains, it is Black who has the psychological advantage of trying checkmate the opponent's king. Despite its many advantages, some prospective King's Indian players are put off by the seemingly endless amount of theory one is supposed to learn. 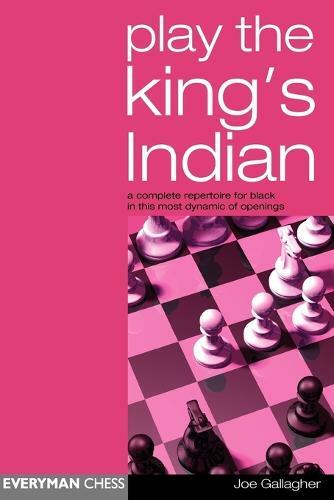 In Play the King's Indian, however, Grandmaster and life-long King's Indian devotee Joe Gallagher has produced a comprehensive and yet workable Black repertoire against all of White's most dangerous possibilities.